Curious about how to send money to Ecuador? In this post, you’ll learn about ways to send (and receive) the funds – and things to consider when choosing the method. This is a guest post by Jon Dela Cruz of iCompareFX. According to statistics released by the Pew Research Center, around $2.4 billion made its way to Ecuador from other countries in 2015. During the same period, around $740 million was sent from Ecuador to other countries. Colombia sits at top of the recipients’ table, followed by Spain and the United States. 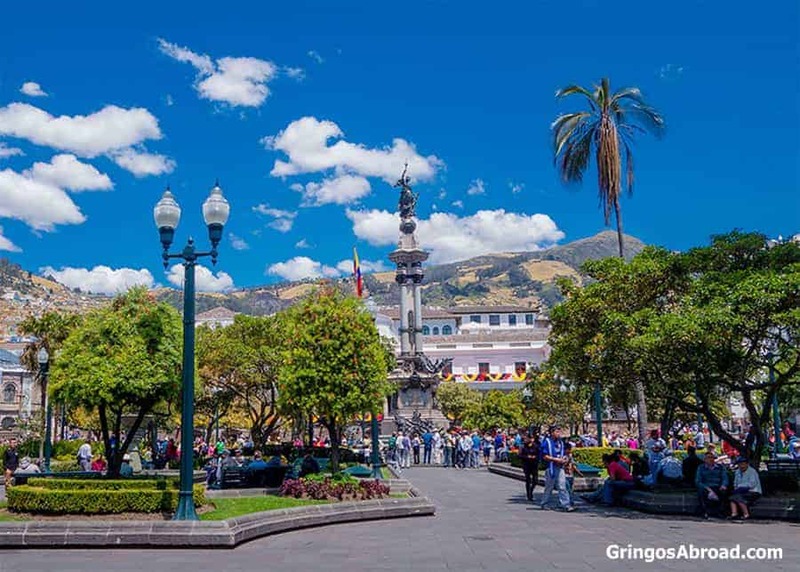 Ecuador is home to a number of expats from different countries, given that around 5,000 to 10,000 Americans live here. Around 12,000 expats living in Cuenca alone shows the diversity. A common thread between most expats is making overseas money transfers every once in awhile. While someone might need to make ongoing mortgage payments, someone else may want to pay a child’s tuition fee. Fortunately, expats living in Ecuador now get numerous options to choose from when sending money to themselves or overseas. Making overseas money transfers until two decades ago involved a trip to the local bank, followed by filling out lengthy forms. Banks, on their part, would charge a sizeable fee and offer less than favorable exchange rates. Companies such as Western Union and MoneyGram started giving individuals and businesses more cost-effective alternatives, although their run at the top did not continue for long. While there are several FinTech money transfer companies that offer services to residents of different countries, not all let you transfer money to and from Ecuador. One of the most important aspects to consider when comparing your options is how you want the recipient to receive the money. Bank account. This method lets you transfer money directly into the recipient’s bank account. In this case, you will need to provide the recipient’s name, bank account number, and bank’s details. Some specialist money transfer companies that provide this service include TorFX, TransferWise, FC Exchange, and CurrencyFair. Cash pick up location. If the recipient needs the money quickly or does not have a bank account, you may consider sending money to a cash pick up location. Examples of companies that let you do this include WorldRemit, Azimo, and Ria (for users in US, Spain, and Australia). When the recipient goes to collect cash, he or she will need to present a valid form of ID along with a transaction number. Email address. TransferWise and PayPal let you send money using no more than a recipient’s email address. Once the transfer is through the recipient receives an email. The next step is to withdraw funds from the company’s online platform into a local bank account. For Ecuador, you can’t actually transfer Paypal funds into your local bank account. But you can pay local expenses with your credit card – then pay the balance with funds from your PayPal account. Mobile airtime and wallets. Azimo and WorldRemit give you easy means to top off mobile airtime and wallets from different countries. Fees and exchange rates. While one company might provide highly competitive exchange rates, it may make up for it by charging a steep fee. To find out which company is the most cost effective, look at the amount the recipient will receive. Payment methods. Bank account transfers are usually accepted by most companies and they tend to be the most cost effective. Not all companies let you pay using debit or credit cards, and these payments tend to come with added fees. Limits. The minimum and maximum you may send depends on the company you select as well as the destination country. Customer service. This factor comes into the picture if you plan to send money outside of Ecuador from time to time. In such a scenario, you may look for a company that provides 24/7 support through different mediums such as over the phone, via email, and via online chat. Working with a specialist overseas money transfer company brings with it lower costs and speedier delivery of funds. Besides, the leading players of this field leave no stone unturned when it comes to protecting their customers’ details. Making the right selection, though, requires taking your individual needs into account. Editor’s Note: While living in Ecuador, we sent money to ourselves via bank transfer (cable) and by depositing checks drawn on a USD bank account into our Ecuador bank account. What method are you planning on using to send money to Ecuador? Are you currently in Ecuador – what ways have you used? Could you please explain how one can send money to ecuador to close on a real state transaction of $100K USD or more? I don’t have visa, will not apply for one in the short term, but want to visit ecuador for a few months and maybe buy a property and then work on a temporary visa afterwards. How can I accomplish this without having a temporary visa (non-tourist visa), a cedula, and a bank account? How do people who don’t have those things or enough ties with Ecuador buy a property and make sure the money gets there? Thanks for any insight on this. No, Ecuador and the US have no double taxation agreement, which means for example that as an author intending to publish e-books on Amazon I have to pay 30% taxes in the US (Amazon deducting these right away) and taxes in Ecuador. Simplest is to just use ATMs. I’m in Cuenca…and Pichincha bank charges no fees on my transactions. My US bank charges $5 for using a non-bank ATM. I haven’t checked the max amounts lately…but I just get $400 at a time and pay everything in EC in cash. A typical US answer. Are you aware that less than 5% of the world population is from the US and needs international solutions? I believe that it would be valuable to mention that 1) the Ecuadorian S.R.I. monitors transfers to the country and that 2) they can become very curious. Also, do Ecuador and the U.S. have a treaty that avoids double taxation?